We are one of the Top 10 fabrication companies in India. We are the best leading Manufacturer and suppliers of sheet metal fabrication metal parts, sheet metal components, Electrical & Electronics ENCLOSURES, MACHINE GUARDS, SS HOODS & NOZZLES, FILTER GAUGES UPS Boxes, Bins & Spouting Etc. Our Sheet Metal Fabrication offers as per Customer’s designs we will give satisfaction and at most competitive prices in Bangalore, India. Our offered Sheet Metal Fabrication is manufactured from high-grade factor inputs keeping in mind the set industry standards. Our metal forming is used to provide specific shapes to sheet metal. While sheet metal rolling process, more standard is used to shape a strip of metal. 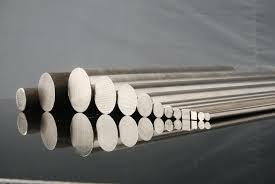 This is mainly used to reduce or change the diameters of metals. If any information on Top 10 fabrication companies in India, kindly call us: +91-9845054685.